1/1/2013 Getting loose ends tied before school starts. Today I re-assembled the second carb, polishing up the brass parts and the suction chamber first. Everything went very smoothly. 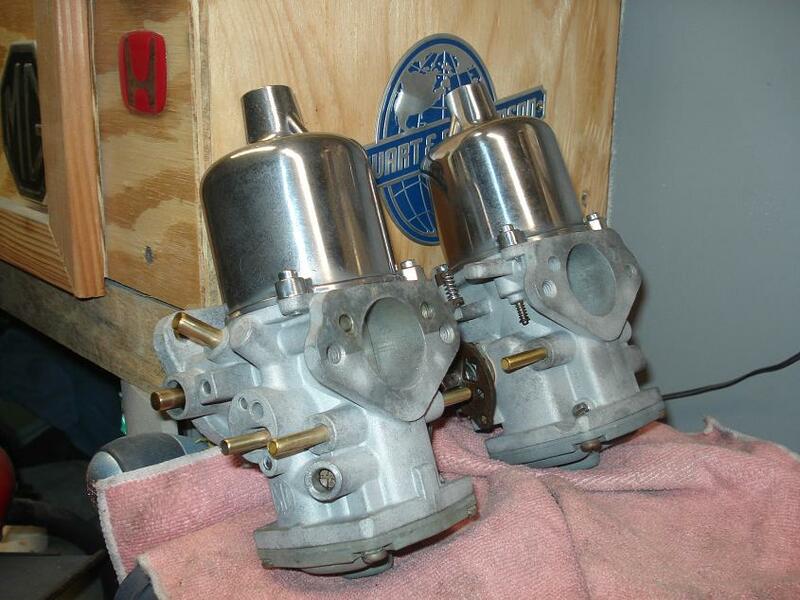 These carbs are ready to be installed and adjusted. I'm going to wait until the cooling system is corrected before I swap them out. The fuel filter housing has been assembled and installed. Next step is to plumb it in with new brass fittings and hoses. The core plug issue will be resolved in a number of ways. First I purchased brass core plugs instead of steel. The brass plugs are preferable from what I've read online. 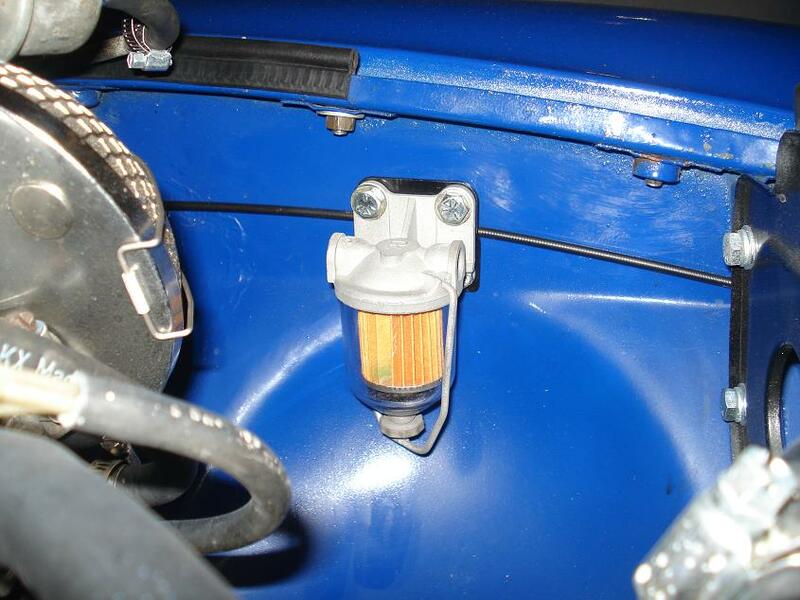 Next I purchased an early MGB washer fluid reservior with its mounting bracket. I will use that as an overflow tank that should look simple and original. Finally, I ordered a reservior capable radiator cap with 7 lb capacity. This week I will get the carbon canister installed with bracket, the washer fluid tank and bracket, and the heater installed. I'm going to try to have it ready so when the new freeze plugs arrive, I can pop it in and be back in business.